Since we are in the middle of holding the Layla Grayce Coastal Cottage Bedroom Design Contest, it seems fitting to do a post on how to acheive this look. I hope you enjoy it. First thing, don’t feel that bold colours have no place in cottage decor. Yes, more often than not, people use sage, pale blue, yellow, pink, cream and white. It doesn’t mean bold hits of red, black and deep blue don’t belong. On the contrary they can compliment the look. The black in this image actually helps the blue and white pop even more than it would without. Besides, it’s all about what makes you happy and if you like bold colours, add bold colours. You just need to find a way to balance them. That’s the key. Anything made of glass, drift wood, cork, seagrass etc… will work really well in a coastal cottage design. Natural materials give the space a cozy non pretentious feel. 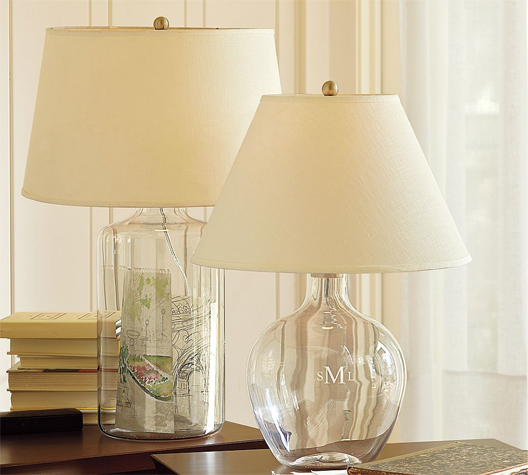 These lamps are perfect as is, but you can also go the extra mile and fill them with beach inspired materials like shells, sand, or maybe even write a little message and stick it in the bottle. most cottage furniture, the older and more worn it looks, the better. You want pieces that look like they have stood the test of time. 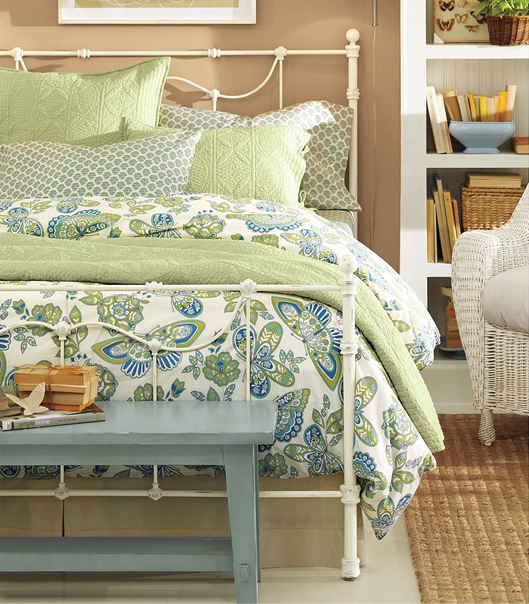 Pastel or floral bedspreads just add to the overall appeal. And if you have a hand me down quilt made by your granny, this is where it belongs. 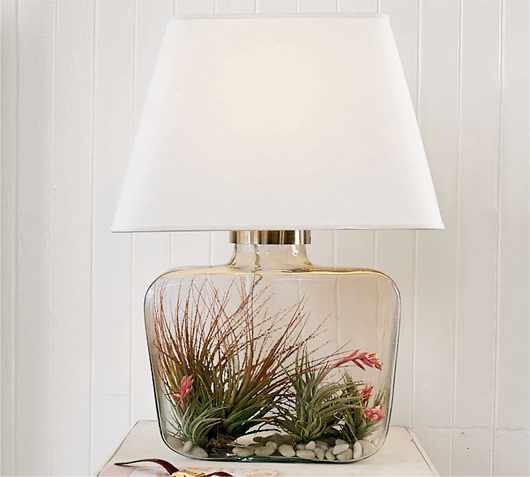 I know I already talked about glass lamps and filling them with fun things to add to your overall decor but these are the most amazing plants and a great way to display them. For those who haven’t seen these plants before, they are air plants. No soil and they still grow. Don’t be confused by the name ‘air plant’. They still need to be watered. You may have seen them in some decor magazines hanging in glass and porcelain ornaments. These are pretty much the latest craze. Anyway, this is also a cool way to display these fun plants and again the natural element of this design works really with the coastal cottage theme. 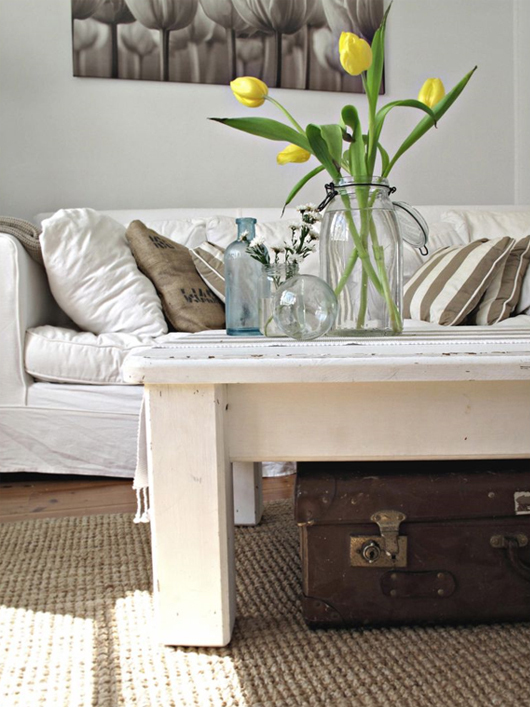 White slip covers are one way to instantly achieve that coastal cottage feel and if they are loose and wrinkly on puffy furniture even better. For me, my neat freak attitude would not be able to handle this. Many people love it, but I will always prefer the clean look of a tight back sofa to any slip cover. It’s just the way I am. That said, this definitley will give you the look you are going for. When considering rugs, be inspired by the beach and pull in a sandy toned sea grass rug. Natural fiber rugs with neutral tones will help compliment the look without fighting for attention. As much as you can, go to estate sales, garage sales, flea markets and old antique stores to find the the right furniture. You’ll be amazed at what you can find and even more amazed by the prices. Yes, it takes time to go to these places, but it’s worth it. Cottage furniture is often white, white washed, or painted in pastel colours. 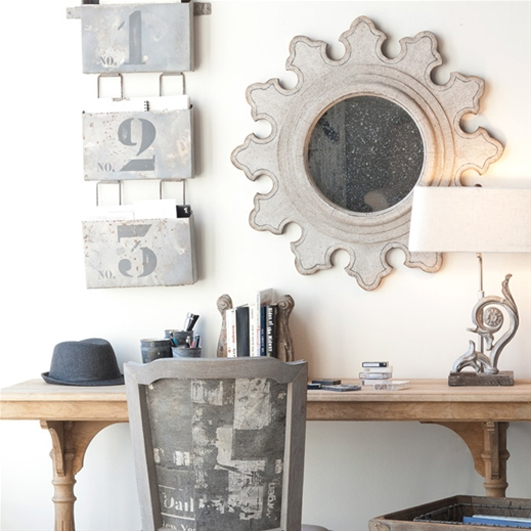 Pine furniture is also a staple along with items made from reclaimed wood. 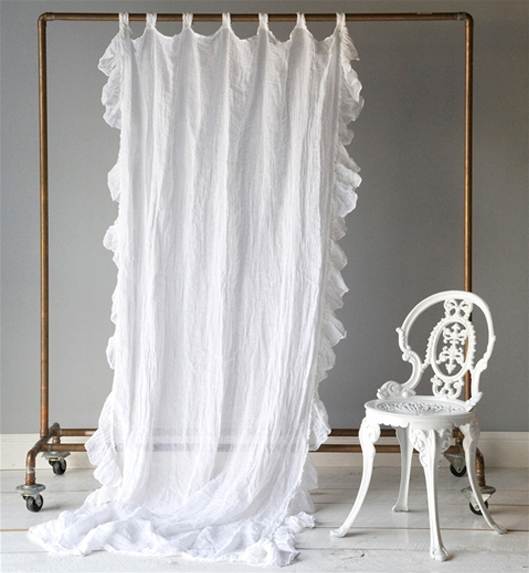 There is nothing more comforting than a warm breeze and sunshine creeping in through an open window, causing white shear curtains to dance around the room. It just gives off an instant feel of relaxation and peace and quiet. You feel like you’re on holiday and the rest of your busy schedule can take a backseat. Grab a book and a coffee and have a quiet moment to yourself.